"Justin is very colourful, enthusiastic and experienced, and his cross-examination is very creative." "He is conscientious, hard-working and fearless." Justin is a financial remedies specialist who relishes complex and challenging cases where his wide array of skills can be deployed to their full advantage. Respected by his peers and with a loyal following amongst his instructing solicitors, he understands both the technical nuances and emotional dynamics of family law and is adept at building trust and rapport with clients. 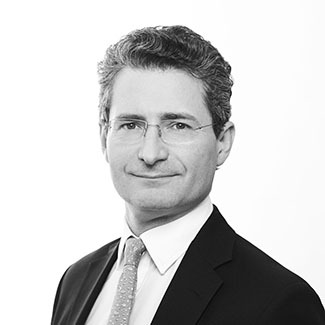 He is “star of the future” (Chambers & Partners, 2012), with “an ever growing reputation for matrimonial finance work” (Chambers & Partners, 2011). Justin’s international practice has involved participation in cases in many overseas jurisdictions including Canada, Gibraltar, Jersey, the Isle of Man, Hong Kong and Singapore. All matters concerning divorce and the breakdown of family relationships. “Specialises in complicated, high-value financial matters and has a practice with an increasing emphasis on overseas work. His peers describe him as ‘fun to work with and appropriately tough’”. Recent Work: Appeared in Shagroon v Sharbatly, a case concerning a billionaire businessman. – Chambers & Partners – 2014. Justin is married to a professional singer. They have two daughters. He enjoys photography and sometimes writes reviews for the TLS.